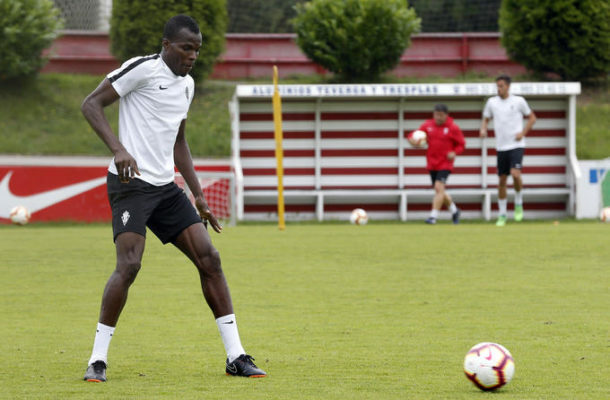 Midfielder Isaac Cofie has been absent from training at Sporting Gijon this week due to muscular discomforts. Cofie has not featured for the club since lasting the entire duration in their Copa del Rey 3-0 defeat to Valencia in January. He was not part of the team which travelled to Extremadura to win 3-0 last Sunday. Before that, he sat out matches against Deportivo La Coruna and Alcorcon. Cofie joined Gijon this season on a free transfer and has managed 13 league appearances and scored one goal.